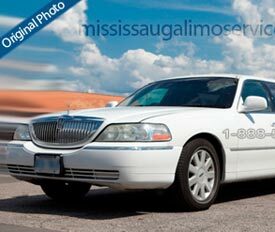 Welcome to the Cheap Mississauga Limo and enjoy the best and classy limo packages the company has to offer. We offer an extensive range of limousine fleet to choose from at best compatible rates. The rentals services are packaged with the latest and state of the art facilities to accommodate the varying demands of our clients. Travel with elegance and style by considering our services because we are offering prestigious and some of the most stunning limousine models launched recently. We are a Mississauga based professional limo service Provider Company with a wide range of affordable but highly luxurious packages for complementing the special occasions of our valued clients. We have been offering exceptional limo rental services in town for many years and have got a vast experience in the transport industry. From a grand wedding celebration to a casual party and from a corporate meeting to a crazy prom night, all sort of events and demands are catered at our company with remarkable services. If you want to enjoy stress free proms, weddings, parties and get together with extremely outstanding transportation solution, then our experienced services can satisfy your desires. Hospitable environment with sleek limousine models will make you feel extremely special and pampered and will let you enjoy the celebrations with full zest. Elegant hummers, stretch limos, party bus and SUV escalade are perfect for fulfilling the luxurious demands of our valued customers. We guarantee a perfect combination of safe and lavish ride for a wide variety of clients at highly reasonable rates. One of the most classy and extravagant limo fleet is ready to serve the people along with customizable interior settings. All the interesting clients can contact our representatives anytime for getting a lush and comfy transportation for their special events and occasions. Many different packages have been designed each with a specific price tag and features. Reservations are open round the clock and all deals are available on first come first serve basis. Students or graduates from colleges, schools, and universities, companies and individuals are our regular customers as we are an authentic name in supply our part limo buses for tours, parties, and visits in Mississauga area. Our experienced and friendly chauffeurs are expert in providing you the safest, reliable and prompt services to the destination. Their friendly behavior on the way will simply make you feel great. We encourage the parents to verify and approve our traveling route which is chalked out by the skillful team members to ensure safety, security, and on-time arrival. For making your prom party a blast to remember, our company also offers galvanizing music system set up, magnificent lighting, LED TVs, extremely comfy leather seating and a bunch of entertainment options. No matter how large your group of friends is, our massive and extravagant limos can accommodate up to 60 passengers easily. 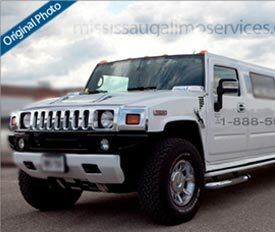 Wedding limousine is one of our biggest and grand offers that make us different and unique among our competitors in the market of Mississauga. We offer VIP vehicles for our bride and groom and make special arrangement for the both. Special seating arrangement is ensured for the bridal dress of the bride and also extended seating is managed for her closed friends if she wants to take them with her on her way to the wedding venue. We tailor their needs in our wedding fleet of Stretch limos, Super Stretch, and luxury Town Cars. Also we make sure that we transport your guests to the wedding place in our luxury and comfortable vehicles. Latest amenities, drop dead elegance and opulence combined with a delightful ride is our promise. 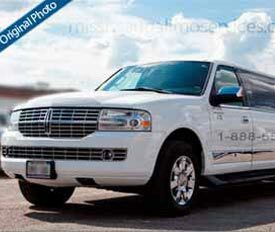 We serve our customers on priority basis and round the clock wedding limo services are offered. The routes for the journey are designed by the expert team so that a smooth and relaxed wedding ride can be ensured for the couple and family. 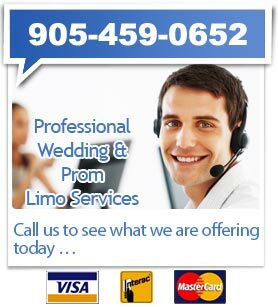 Exclusive deals for the wedding guests are also available at the Mississauga limo services and rentals at discounted rates. Superior and magnificent limos with a sitting capacity of more than 20 passengers are also available for accommodating a large number of people in just one vehicle. Comprehensive and affordable packages are exclusively designed for the low budget clients. Enjoy a remarkable ride to the aisle in our ostentatious limousine decorated and garnished to deliver the ideal mood for a wedding ceremony. Call us before your marriage and enjoy our latest and the most established services of wedding vehicles at very competitive rates. 10% Discount for all wedding limo packages available from September to February 2019 for the residents of Mississauga. 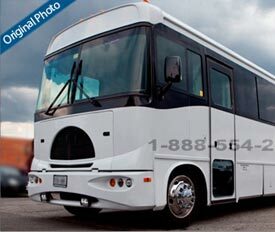 What about planning a prom night in our Stretch limos, Hummers, and Part Buses in a wonderful night? Have you ever tried the exquisite taste of a great night ride accompanied by the group of your friends? If not, let us take you around the night in our furnished and luxury vehicles. Comfortable Stretch limo and the company of your closed friends and beautiful night view! How fantastic is it! All you have to do is to contact us and choose a style from Bachelor Party bus, Stretch limo, Hummer, or any other and leave the rest on us. We would make your night drive as luxurious superb and comfortable as you want it to be. Your night journey will be one of the most unique and amazing experiences you ever had in your life. Your safety is our responsibility, rest assured. You are safe when you are with us.